Provide comfort for the family of Norman Pinette with a meaningful gesture of sympathy. A Mass of Christian Burial for Norman L. Pinette, age 97, of Ormond Beach, will be held on February 8, 2019 at 11:00am at Prince of Peace Catholic Church, 600 S. Nova Rd., Ormond Beach, FL 32174. Mr Pinette died on January 27, 2019. He was born in Berlin, N.H. to Anne Marie and Charles Pinette, and he was preceded in death by Ann, his wife of 60 years . He is survived by his daughters Marsha (Walter) Mueller and Mary Ellen (Rodney) Dollar, three grandchildren, Sara Dollar, Jessica Dollar, and Jennifer Prise, two great granddaughters, Elle and Abby, and several nieces and nephews. 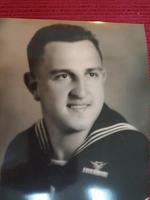 Like other members of the greatest generation, he served his country in World War II as a gunner on a navy bomber where he survived not one but two plane crashes and several days on a life raft. He worked for New England Telephone Company until his retirement in 1982 and moved to Ormond shortly thereafter. One of Norman’s greatest joys in life was his admission into the New Hampshire Hockey Hall of Fame . He was an avid golfer and played up until a year ago. His hobbies were playing bridge, crossword puzzles and watching his beloved Red Sox and Patriots. His sense of humor was a joy to all those who knew and loved him and he will be greatly missed. 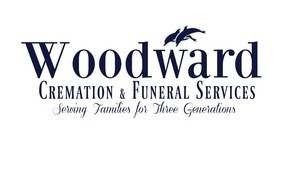 Condolences may be expressed to the family at www.dalewoodwardfuneralhomes.com. To send flowers in memory of Norman Pinette, please visit our Heartfelt Sympathies Store.